Kids are not all alike, as every mom knows. We provide you with a choice of different and special castles for hire – each with its own appeal. 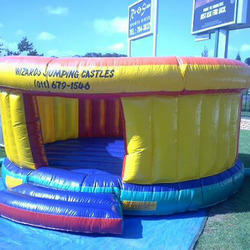 Princesses and Diva’s have Girl’s Jumping Castles to choose from. 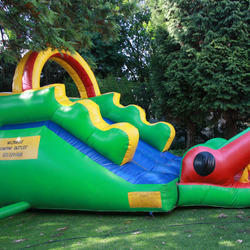 Active little boys can jump over obstacle courses and play pirate in the Boy’s Jumping Castles. The Standard Jumping Castles will suit many different tastes, while the Unique Jumping Castles give your kids a chance to stand out from the rest. The Water Slides are perfect for sunny South African days – just add a little water and kids will go crazy. Once you have made the decision, please book your jumping castle to avoid disappointment. Bookings made more than 7 days in advance do need a 50% deposit. Payments can be made via EFT (electronic fund transfer) or in cash, whichever suits you best. Wizards Jumping Castles are delivered between 8am -4pm on a Friday. Once the jumping castle is handed over, you’re left with the rest of your afternoon free. After the weekend of fun is over, collections will happen between 8am – 4pm on a Monday. Well, what are you waiting for? 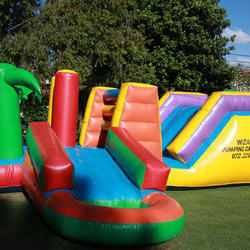 Go ahead and choose which Jumping Castle you would like to book!